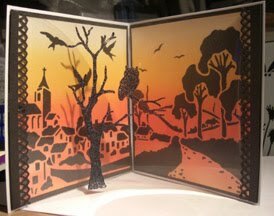 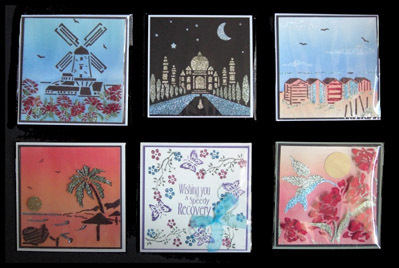 I normally leave blogging to Jayne and Sue but I am trying to make more of a contribution so I thought you might like to see a continuation of our Gallery of great samples made by our Design Team. 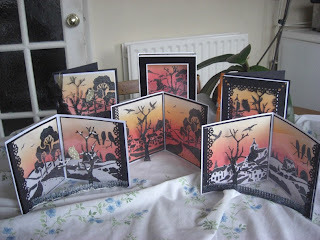 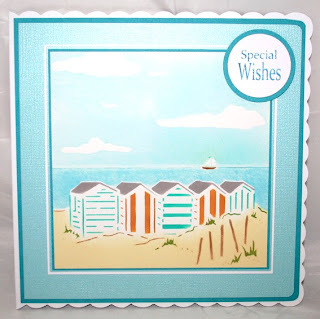 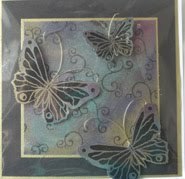 So take a look and enjoy some of Jennifers' creations and don't forget to carry on down to see older posts that Jayne has posted. 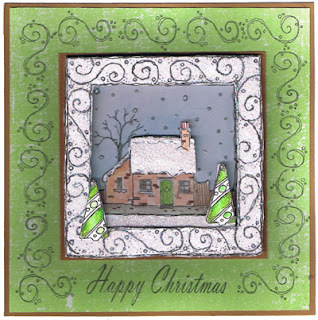 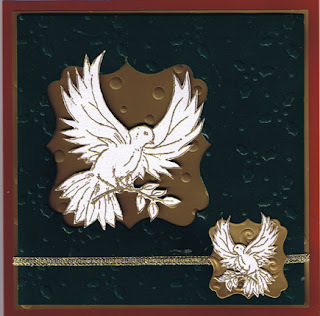 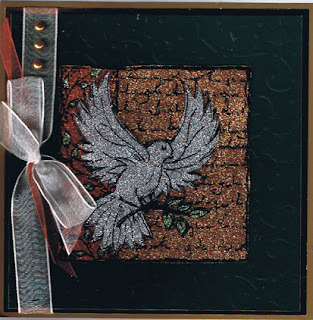 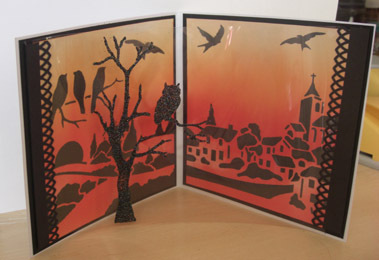 Dove Decoupage Gold, Bright Copper, Sage green and Diamond Sparkle medium. 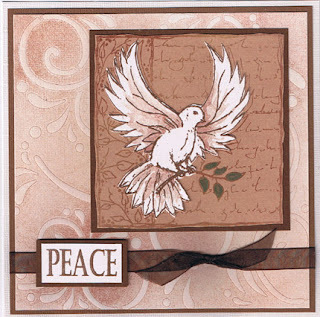 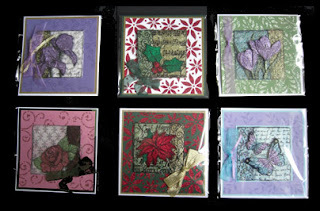 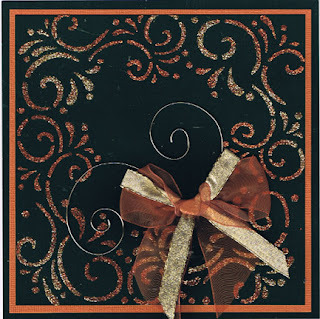 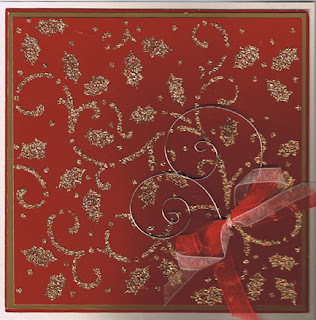 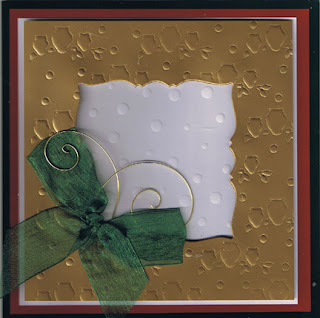 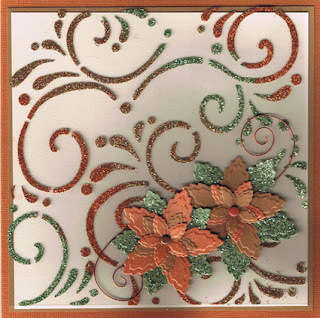 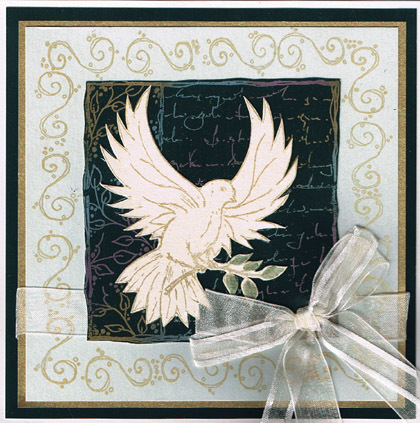 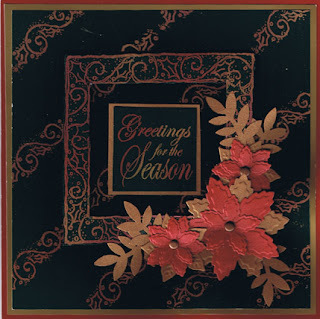 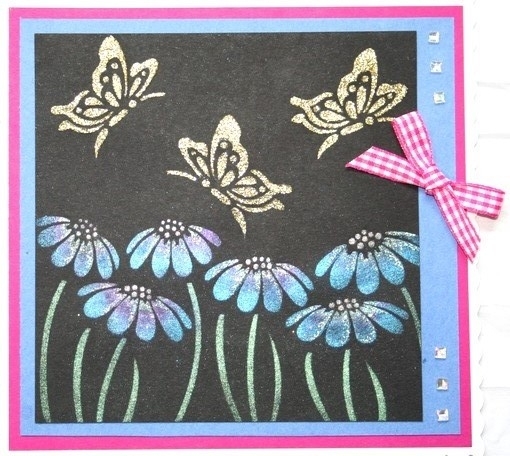 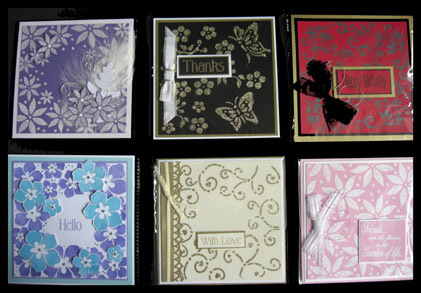 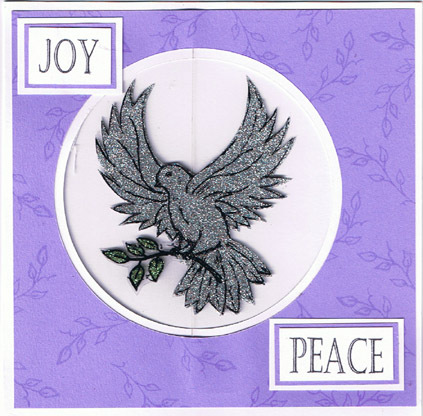 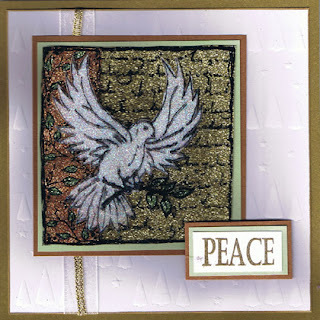 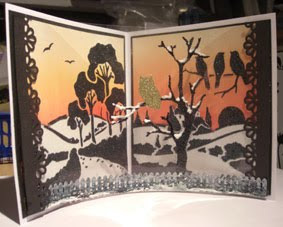 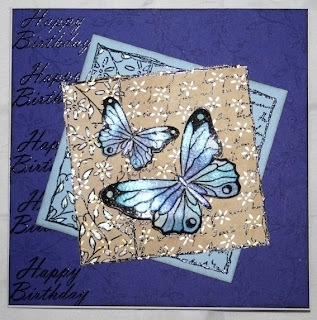 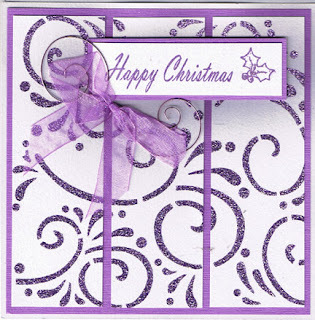 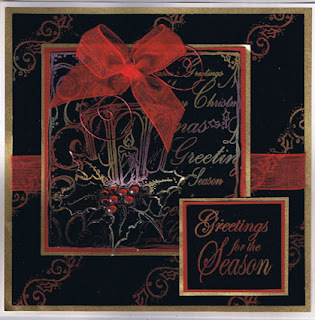 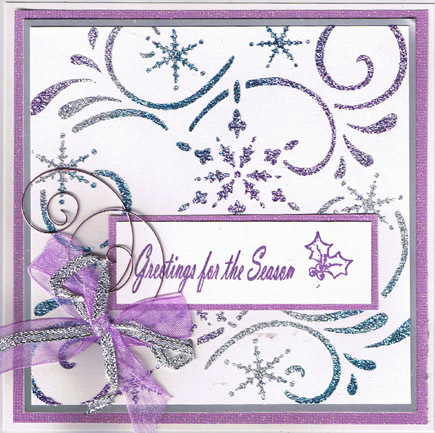 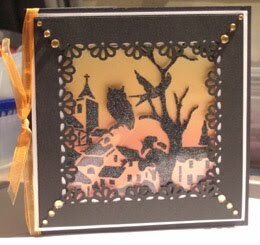 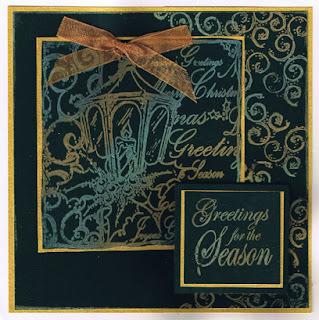 Winter Bouquet gold embossed on different coloured card stock then cut and layered. 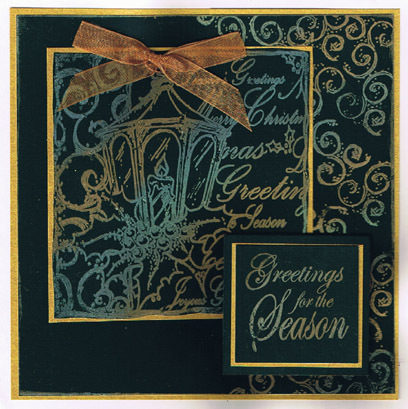 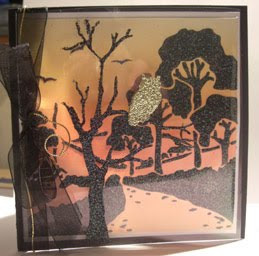 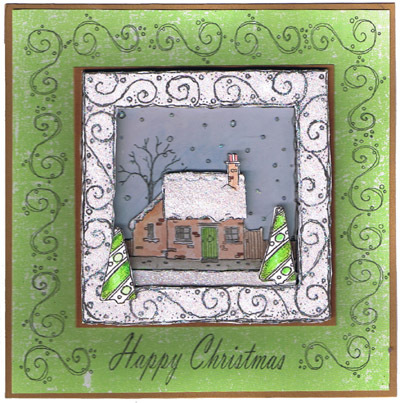 Tree Border gold embossed, coloured with tombow pens, used extra in set for a border effect. 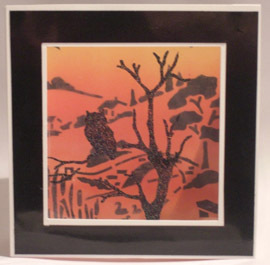 Sorry about this picture looks like a white dot ???? 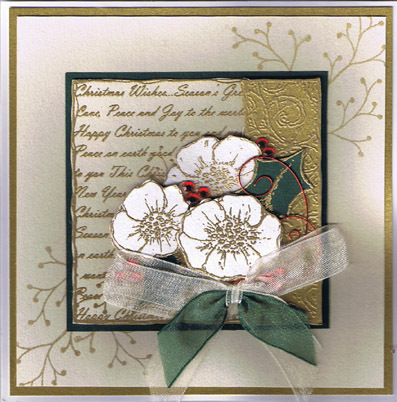 no idea and i don't have the sample here now so i can rescan...Robin Decoupage, gold embossed and coloured copic pens..
Winter Bouquet painted with mica powders on cream card, Gold Glossy card with Holly and Berries, and trees and stars Embossables. 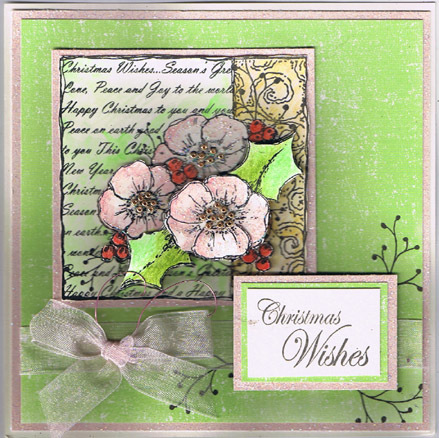 Winter Bouquet, Watercolour pencils 5 layers...beads for flower centers, and Magi Glaze on berries..
And Welcome to Day 4 ..Today they are all about the New Decoupage Sets and introducing the Border Decoupage...enjoy!!!! 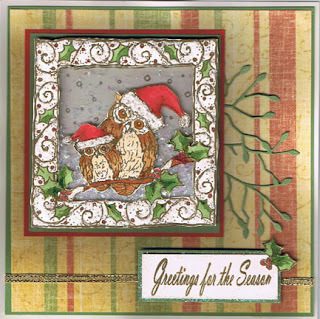 My favourites the Owls !!!!! 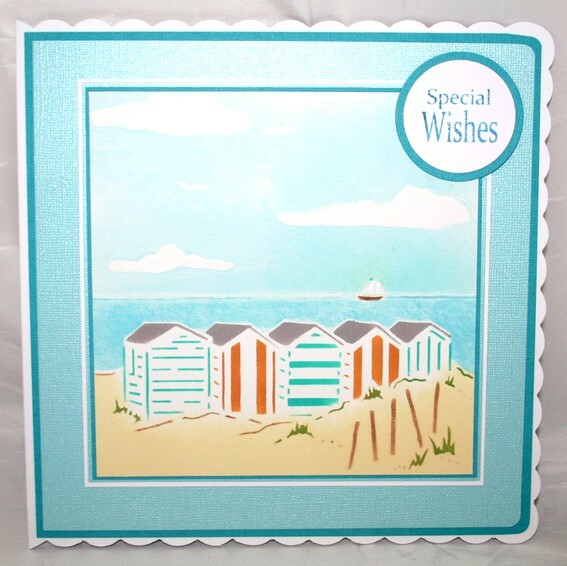 Multi dots embossed background, Coloured using pro markers/ Copics... on this one I've cut away the back ground.... 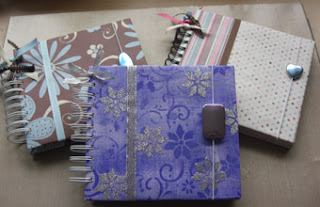 They are so cute!!! 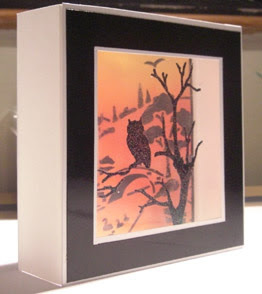 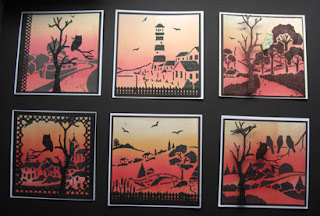 Lantern Decoupage, coloured with watercolour Pencils, 4 layers, the glass is acetate. 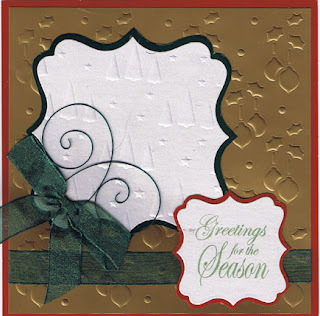 the background and greetings Versa mark and left to dry. 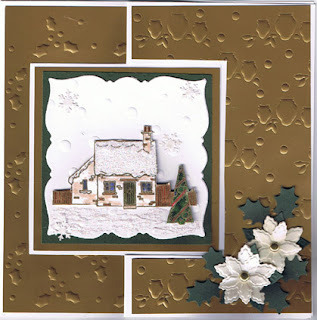 The cottage this time on an open aperture card, embossables covering the card and flowers to add an extra touch, Sparkle medium Aqua sea on the ground and roofs..great for our home to your home style card..
Owls embossables on gold with Multi dots through the die-aperture. 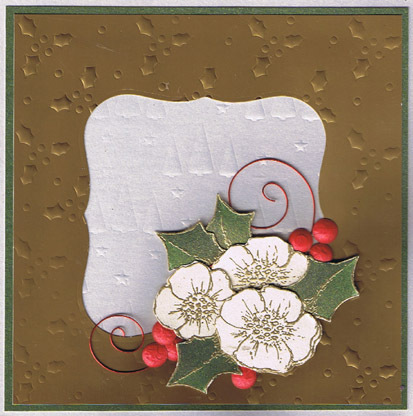 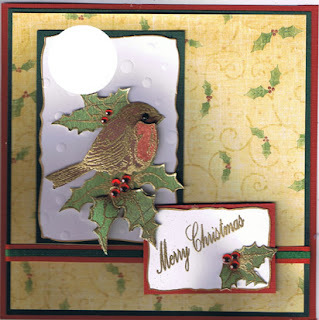 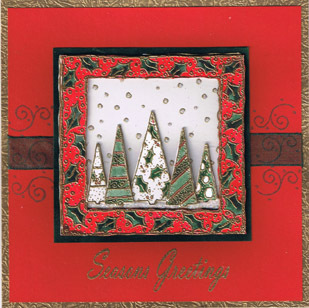 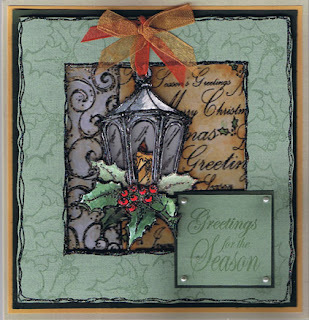 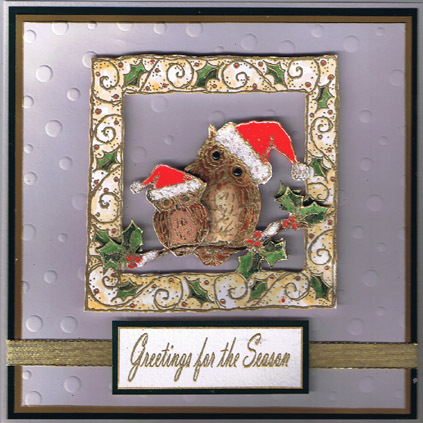 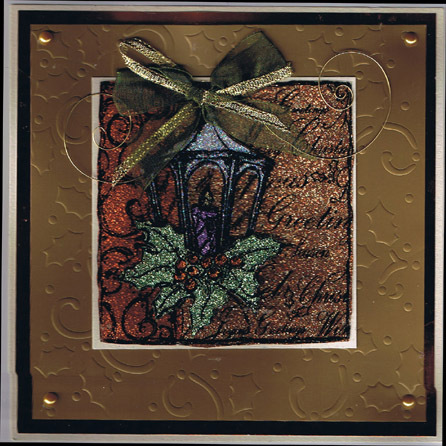 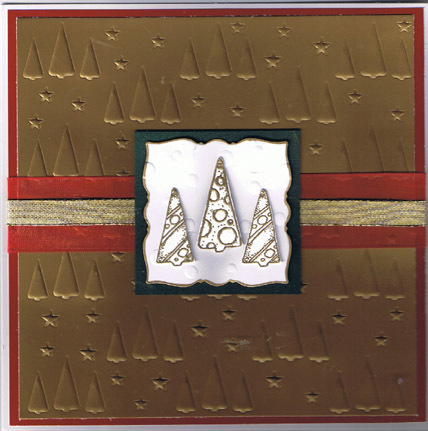 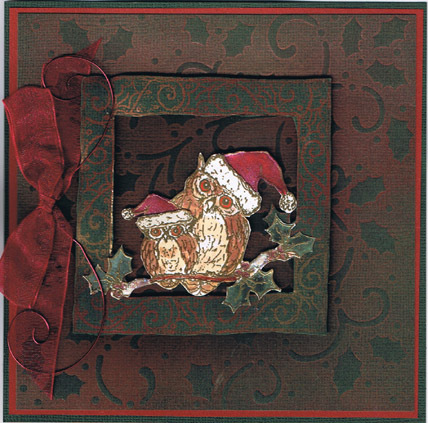 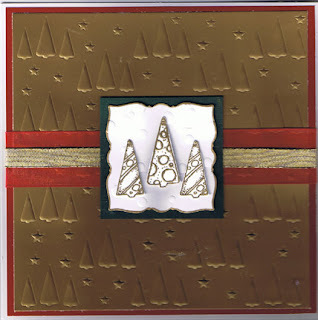 Baubles and holly on Gold glossy and tree and stars on white on Die-cuts, greetings from Lantern Decoupage.